How Do You Use a Wood Stove? Using a wood stove requires proper ash management, placement of wood and circulation of air. In order to get started, all you need is wood, source of ignition, a shovel and metal bucket. Ideally, firewood should be burned on a bed of ashes. When burning firewood, let the ash build up to around 50 millimeters. If the ashes build up too high, use the shovel and bucket to clear out some of the layers. Ensure that both the top and bottom air vents are open when starting the fire. Keep an eye on the fire when it is burning. Smoky air is a sign that the stove is being run too slowly. Further, this can lead to a build-up of tar in the chimney as well as chimney fires. The flames should be energetic and visible at all times. Resist the temptation to add additional logs to the fire when the existing logs are starting to burn low. Rather, wait until the current fire burns to a bed of embers before replacing the logs. New logs must be heated up before catching fire, and opening the firebox regularly only lowers the temperature inside. The act of continually adding more logs actually reduces stove efficiency by up to 15 percent. Where Is the Model Number on a Frigidaire Stove? 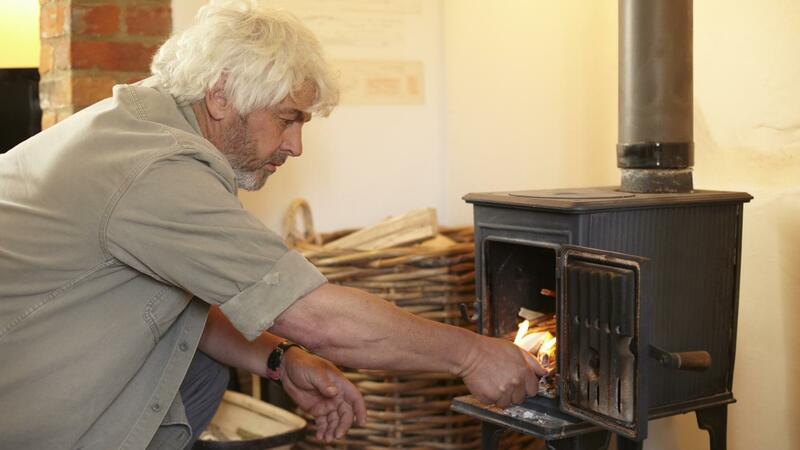 How Do You Build a Wood-Burning Stove? Where Can You Find Free Firewood? Where Can You Buy a Dual Fuel Wood Furnace? How Much Does a Cord of Wood Cost?